I'd like to start by thanking you for the chance at an opportunity for financial assistance for this amazing course. Through the offering of this program, you are opening up the door for many to continue on their path to their hoop dreams and goals...and that is something to truly be thankful for! My hooping adventure began many moons ago in the summer of 2010 when I picked up my friends beginner hoop. Heavy and coming up to past my belly button, it was black with bright green gaffer tape on it. Less than a year later while I was living in Australia, I was gifted my own collapsible hoop. 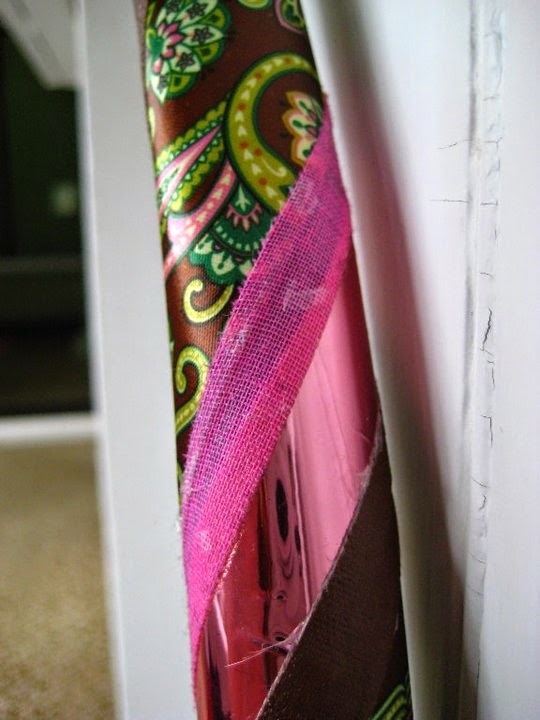 She was beautiful and pink with paisley material. My story doesn't get exciting, though, until 2012 when I decided to travel to Nepal. Hula hoop in tow I flew to Kathmandu in hopes to find my passion in life (this was shortly after my mid-twenties crisis when I realized I still had NO idea what I wanted to do with my life.) I was there helping a friend establish her non-profit organization, LoveFound. 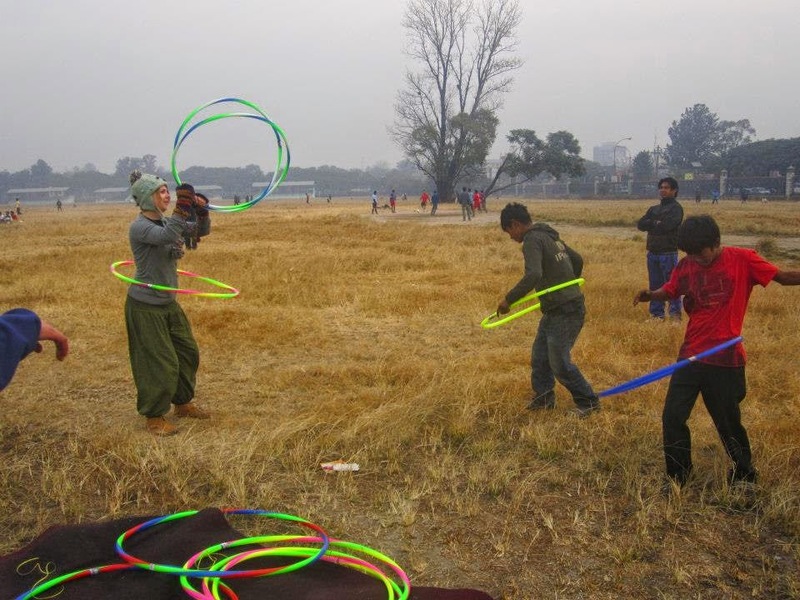 Nepal was a magical land where I learnt all about the value of letting go, the importance of recognizing synchronicity, and most importantly...World Hoop Day. 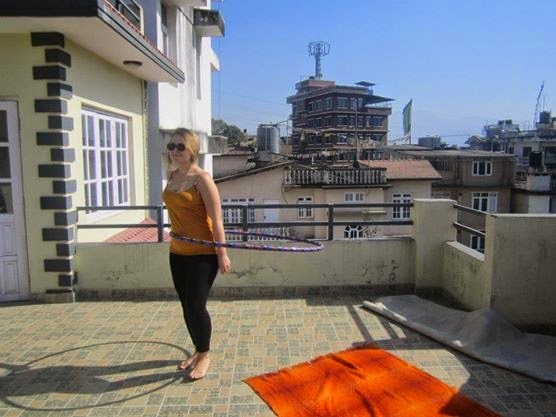 There's not too many hula hoopers in Kathmandu, so when I would bring mine out, it attracted some attention. I met a photographer for the Associated Press who mentioned World Hoop Day in conversation. Neat! The very next day I researched just what this glorious day and organization was all about. And that was it. I was sold. Once I became an Ambassador for World Hoop Day, I realized that hooping would be my offering to the world. That's how I would make a difference. Things spiraled into a hoopy oblivion from there. I even got to make my first hoop donation to an orphanage in Kathmandu, as well as leaving my own beloved circle at a hostel for others to continue to enjoy. Upon my return to Canada, I was straight away into planning mode. I was dubbed the nickname 'Gypsy' while I was travelling, and from there sprouted Hoops by Gypsy. Part of the proceeds from my sales are to help me spread the hoop love, and every World Hoop Day I am happy to do my best to host an event to connect to my community and come together with other hoopers to help change the world. I can honestly say (from the bottom of my heart) that there is nothing in my life that I have ever been this passionate about. I've seen the magic a circle can create, the barriers it can break and just how much ego it can strip away. The alchemy that hooping creates is something that I want to share with others on a deep level. If chosen as the recipient of this wondrous gift, I will be able to take the next step and help others on their path. World Hoop Day is October 4 this year (shortly after training is completed), and I would love nothing more than to be able to share the magic. This would also allow me to step forward as a leader within the hooping community and live out my biggest hearts desire. This year is significant due to the fact that last year was utterly discouraging as I had not much more to offer than a dry space on a rainy day, and some good beats. This year I hope to offer classes (if not taught by me then another hoopdance instructor), a screening of The Hoop Life, and a communal space for hoopers to connect and learn. My hoop vision is one filled with flow, meaning and purpose. I've grown (and will continue to grow) into the person I want to be, and I have chosen this path to share love, bring peace, and, most of all, be of service to others. 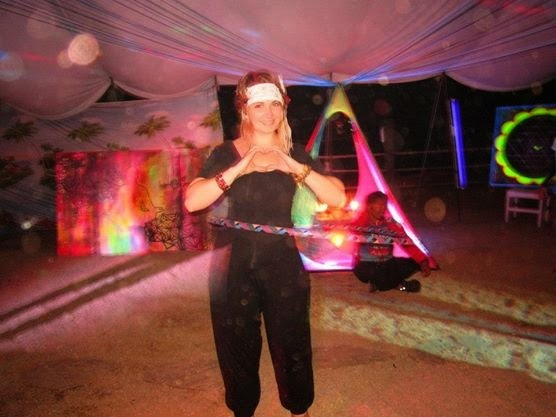 Hooping is so much more than divine movement of our physical bodies. It's an ethereal experience for the mind and soul. Again, thank you for this opportunity. The gratitude bubbles up from my heart space and floats all the way to you. When I feel like this, I say that I'm 'bursting sparkles'...so I'm sending you sparkles, too. Hola readers! Gypsy here. But you can call me Ray. I'm here to spread the hoop love and share stories with you! As an ambassador for World Hoop Day and a Hoop Love Coach, it's clear where my passion lies. Connect with me on facebook (www.facebook.com/hoopsbygypsy) or visit my website (www.hoopsbygypsy.com) for more information or if you have any comments or questions! Hoop Love Coaching - check! 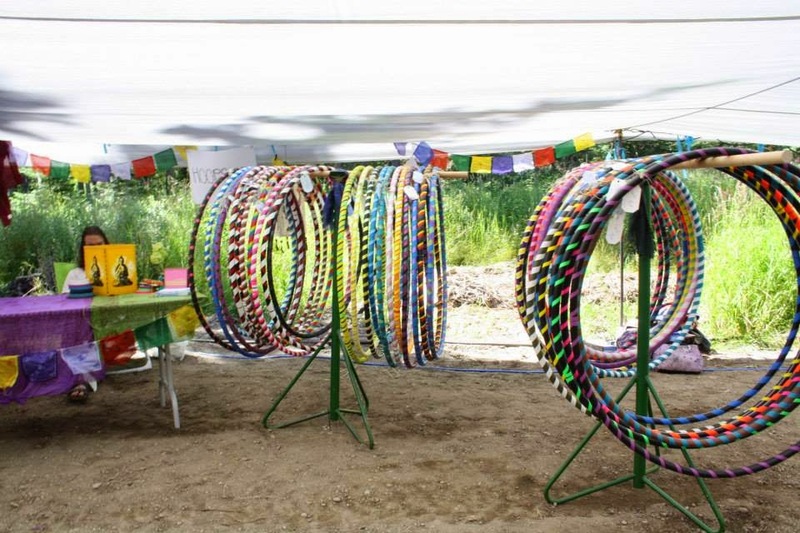 Why do you think hooping has become so popular?